3 Questions for Sabbath Keepers • Run Hard. Rest Well. Are you short-changing your Sabbath Keeping? Here are 3 questions to ask yourself this week. What does God have for me in this day, through this day of rest? What do I have for Him in this day, through this day of rest? How will this be lived out with others in gratitude, joy and celebration? 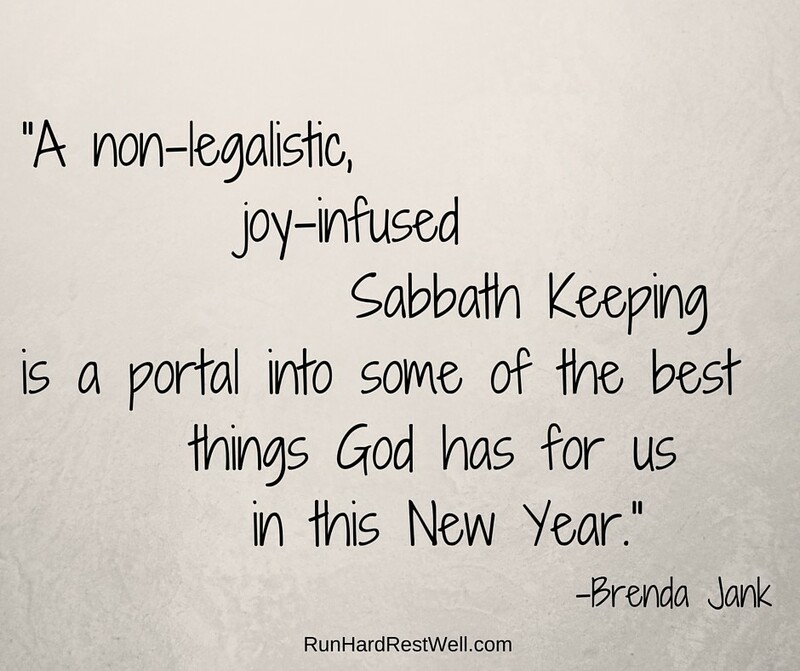 A non-legalistic, joy-infused Sabbath Keeping is a portal into some of the best things God has for us in this New Year. Isaiah points the way. Joy is an early casualty of our fast-paced, nonstop world, but these questions can turn the tide. Hey! Now I have 3 questions for you. This winter, we will begin a very practical series on how to make biblical rhythms of work and rest a reality in the 21st century. To do this, I need your questions. Will you send them my way? We need your input! Over the next few weeks, will you send in your questions, as well as the unasked questions of people in your life? Hit reply or send a note to brenda@runhardrestwell.com. Questions like. . .
My boss demands 24/7 contact and response? How do I refuse? Can I refuse? Rest? How do I get my kids to WORK? I wake up every night at 3 AM? Why? Can it be changed? We are all in this together! Thanking God for you, your journey, your insights, your questions! And as this day continues, may His joy be your strength. How do you make the most of your rest when everything else is piling up and no one else is helping? Thank you! Powerful question. I’m going to guess you’re a mom! I think this question will allow us to dive into personality types and love languages. Feel free to send more. God bless and God keep. I go to church by myself each Sunday, but I find it hard to include worship and meaningful rest in my day-to-day life because I have no partner on the journey. Because of my work schedule, I also find it hard to join many of the other groups and studies my church has to offer, but I know I can’t go it alone. Any advice? Molly, Thanks for writing. We have come to understand that rest comes more naturally in community — when there are other people around us who support, encourage and cheer us on. You’ve shared a great question. So many of us go it alone. Your question is going on the list and we will explore it, but for now, on this snowy Indiana day, I am lifting up a prayer for you and your journey. I know God has something precious in this for you. Can I ask? Do you consider yourself more of an introvert or an extrovert? (It’s not how much a person talks, but where they get their energy from. We all need people. We all need quiet. Introverts need more quiet to get recharged. Extroverts need more time around people to be recharged?) Onward! I thrive on spending time with other people, so I would say an extrovert. I would rather spend time with the people I love, though, so when they do not want to join me in something I know is meaningful, motivating myself to go there alone is the challenge. Molly, Our extroversion and introversion impact many aspects of our lives. thanks for the question! We will tackle it head on! How do I keep my mind from wandering? How do I know when I have heard from God? Suzanna, 3 important, meaty questions. Thanks for writing! Keep them coming. They are going on my growing list. Lately sleep has been hit or miss. I can take medicine to make me sleep, but a drugged sleep isn’t a good sleep. At least when I don’t sleep, I pray. Sometimes praying comes across to me as work. How do you do God things with joy and rest combined when it is far from restful? Rewarding? Yes, but not rest filled. Betty, Sleep. Prayer. Work. Rest. Quiet a combo of thought provoking questions. Thank you, my friend! It’s on the list. 1. I love my Faith family. I know it is good to be surrounded by them. But I ask God is better to be surrounded always by those who are already yours, or should I spend more time with those whom are looking for you? 2. Tithing, I am hearing much regarding 10%. Is it monetary only, or does time given count too? Erin — more great questions. I am so excited to dig in to these! more and more good questions. Thanks for asking what is on so many people’s hearts and mind. GREAT question! Thanks, Heather. We will tackle this head on. 1. In a home where one is a caregiver to an aged parent, her home, how can I avoid being interrupted constantly no matter where I am or what I may be doing? I want to scream…definitely a fourth commandment issue! No joy! 2. How do I, or anyone, stop looking into the rear view mirror all of the time? ( and I don’t mean the car rear view mirror!). We know the Lord has so much in store for us, how do we take hold, look forward(even if sometimes we close our eyes), and go for His heavenly gusto? 3. How can I truly learn to hunker down in my Fathers presence and learn how to ask for forgiveness and then receive it??? Linda — vital, powerful, relevant questions. We will tackle each one……framed and founded on prayer, asking Jesus to lead the way.